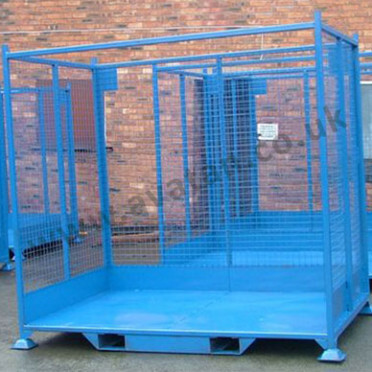 Made to order this steel cage pallet with mesh sides was designed for warehousing and handling of airport cargo. 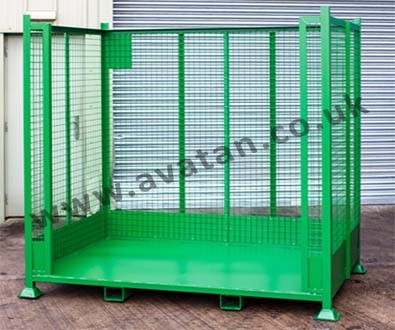 With fork guides to ensure the pallet is lifted centrally, safely and securely, this large three sided stillage has a capacity of approximately 6 cubic metres. 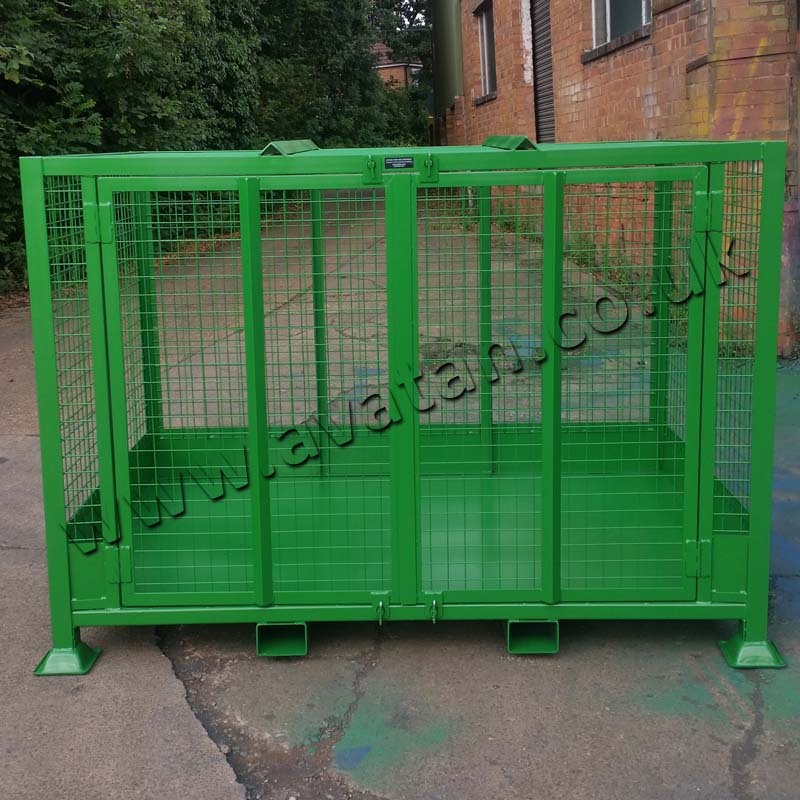 Optional return can be added to the open face, see green Cargo Stillage. 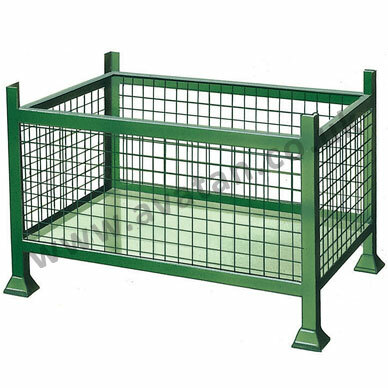 Shown here with sheet steel base and reinforced mesh sides, it can alternatively be fitted with sheeted sides. 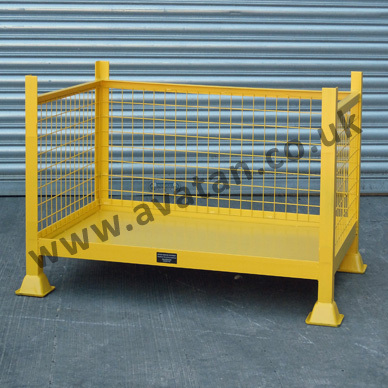 Gates can be added to the open side, and if security is an issue a sheeted mesh or steel lid can be fitted. 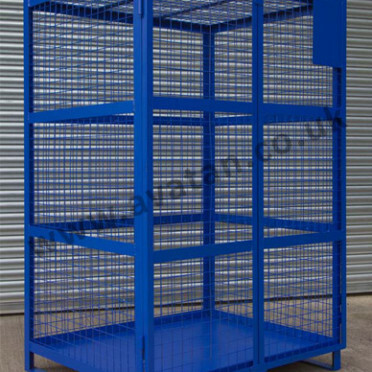 Padlocks or seals on the gated side would secure the contents. 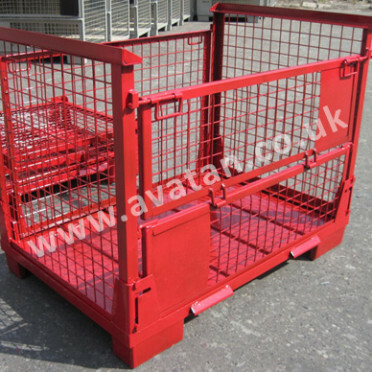 If you have specific needs for large Cargo style stillages, call Avatan for further assistance.